At the most northern point of the gulf, you’ll find Port Augusta. Well and truly desert country, Port Augusta has been coming to life with the Fringe for the last 12 years. With an ever-changing line-up from year to year, the Port Augusta Cultural Centre has seen The Gospo Collective, Dusty Feet Mob, Clara Cupcakes and Joshua Warrior take to the stage. This season’s line-up includes Adam Page, Jamie MacDowell and Our Corka Bubs, in addition to various arts and performance workshops over the weekend. Just after Adelaide’s season wraps up, the Fringe heads south to the cooler climate of Mount Gambier. Over the last week in March, the city is taken over by Fringe artists and venues performing a stunning showcase, including local and international talent. Opening with the Lift-off Street Party on Friday 22 March 2019, followed by a Fringe showcase on Saturday, the following week sees a range of performances in comedy, music, and theatre, and a range of interactive workshops for all ages. For the first time, the fringe hits Murray Bridge for one huge night on Saturday 23 February 2019. 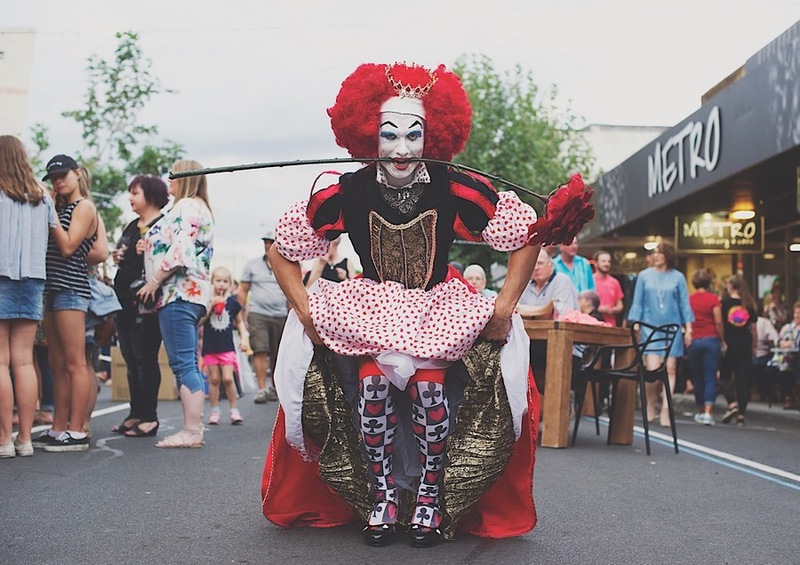 Sixth Street will be turned into a fairground wonderland with artists and performances from the Adelaide Fringe, in addition to some of the most gifted regional talent. Local produce will also be on display in a series of food and wine pop-ups throughout the street. The Murray Bridge Fringe is set to be a glorious showcase of local offerings. Over the Easter long weekend, the Fringe heads to the place ‘where the outback meets the sea’ in Whyalla. Taking over Ada Ryan Gardens, which stretch right down to the foreshore, Fringe artists perform circus, cabaret, music and comedy in a vibrant outdoor hub. Local food, drink and craft stalls provide refreshment in the lush gardens which makes it the perfect place for a relaxed picnic to enjoy the atmosphere. 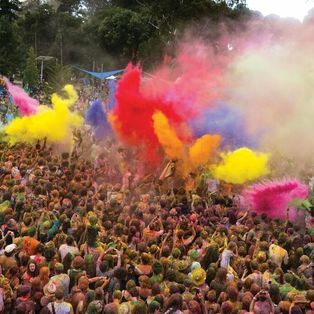 Last year, over 15,000 people attended the event, including 3,000 for the Colour Run. Although there are a plethora of Fringe events at various venues around Port Adelaide during the festival season, on Saturday 2 March 2019 Commercial Road turns into one big street party. Featuring activation spaces indoors and outdoors, this year’s theme of 'Dancing in the Street' is well and truly covered. Performances, food, markets and live music ensure there is something for everyone. If you can’t find your boogie at this party, it may not exist. The Fringe Caravan is set to once again visit the three Westfield shopping centres at Marion, Tea Tree Plaza and West Lakes. Immerse yourself in live performance for a shopping break, or check out shows which are often in steamy tents in air conditioned comfort. 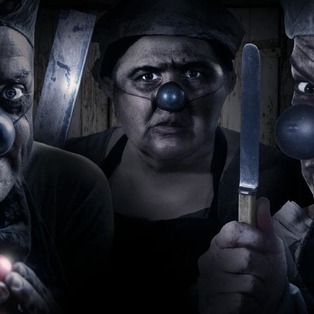 With a changing line-up for each centre, the whole family are sure to be entertained. Last year’s performances included hypnotist Isaac Lomman, circus winners Head First Acrobats, and crazy clown duo The Kagools. 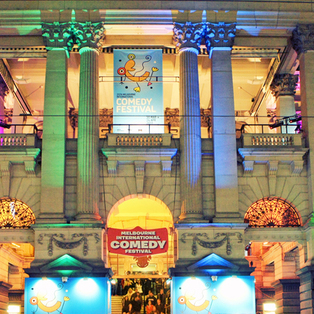 Set in the beautiful Adelaide Hills, the Stirling Fringe presents a curated line-up of the best comedy, circus, cabaret and theatre the Adelaide Fringe has to offer. With a free live music stage surrounded by trees and tents, the Stirling Fringe is a brilliant spot to enjoy the atmosphere with some of the finest brews and delicacies of the area. This year’s line-up sees Cal Wilson and Boo Dywer as standup comedy queens, and Garry Starr and Demi Lardner representing the ridiculously absurd. For the kids, Mr Snot Bottom will be stinky and silly as usual, and the Balloonatics will provide aerated chaos.